Some anemia patients show no symptoms. 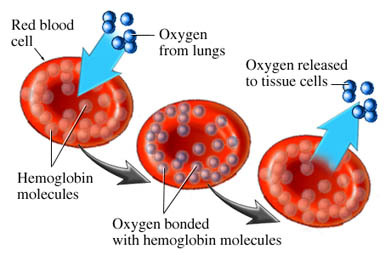 In case of longstanding or chronic anemia the body learns to adjust with low oxygen levels and the patient does not feel different unless the anemia condition becomes severe. On the other hand, in case of acute anemia, patient develops anemia symptoms quickly. An anemic person feels weak and tired because the body tissues are deprived of oxygen.So, fatigue is the major symptom of all forms of anemia and the severity of anemia depends on the severity of the symptoms. Mild anemia may have no symptoms and it can be detected during a simple medical examination including blood test. There are many symptoms of anemia which depend on the cause of anemia. These include iron deficiency anemia for example as seen in toe and finger nails, hemolytic anemia, sickle cell anemia, leg ulcers and mid jaundice.